PEI, CANADA – Prince Edward Island is the smallest province in Canada, found off the tip of the Nova Scotia mainland. But its small stature doesn’t mean this island doesn’t have big aspirations for the golf community. PEI features some of the best golf in Canada with championship courses such as Crowbush Cove, Dundarave Golf Course and Brudenell River Golf Course. PEI’s fields are not dominated by picturesque, tidy small Canadian farms often decorated with yellow wildflowers, like paintings for the tourists who pass by. Add to that PEI’s reddish white sand beaches, beach coves, bays and harbors and the island’s famous red sand, and you have an island someone could write a book about. – Someone did, of course: “Anne of Green Gables” by Lucy Maud Montgomery, published in 1908. PEI has about 140,000 residents and only a few ugly developments. “Most of PEI looks like a postcard,” said Dolf. Prince Edward Island has become increasingly known as a premier golf destination for people looking to book a golf vacation to Canada, and now has around 30 golf courses. 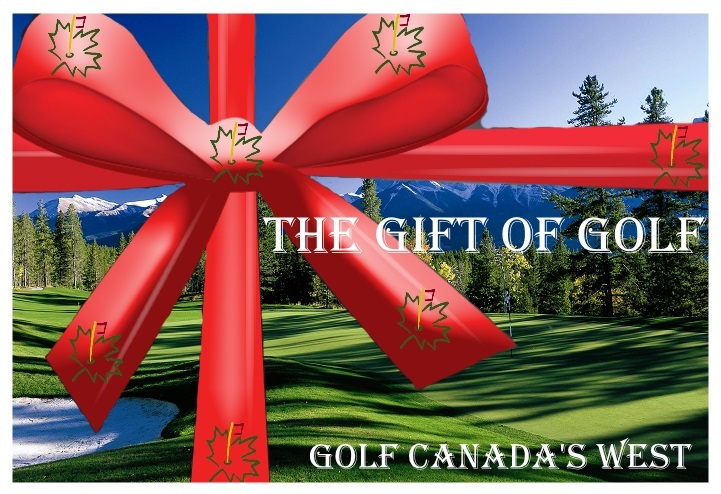 Score, a Canadian golf magazine, named it Canada’s Best Golf Destination. The Links at Crowbush Cove is a terrific golf course in a beautiful setting, though it isn’t technically a links course, something to remember if you are looking for something truly Scottish on your golf vacation to Canada. Crowbush is laid out near the dunes on the north shore of Prince Edward Island. The first few holes are tree-lined, parkland holes before the course meanders toward the sea. It’s a well-groomed course, with sharp-edged bunkers and clear distinctions between fairways and roughs. “You can listen to the roar of the ocean as it crashes against the shores of PEI from over the dunes in the middle section of the course,” Dolf said. It’s a Thomas McBroom design with a lot of fairway bunkers on Crowbush, on the edges of the fairway and in the landing areas themselves, the more to confuse your eye as you stand on the tee. The Links has a flat layout, though the terrain picks up movement as you approach many greens in the form of mounds, elevations shifts, drop-offs and swales. Most every green has different levels with ridges running across several. The stacked sod bunkers at the Links give the course a links-like feel as do the sand dunes and ocean, obviously. Just as obvious is the effect the wind can have when it blows in off PEI’s St. Lawrence Seaway. PEI has a ton of the famous red clay in the 120 bunkers at Dundarave Golf Course. The contrast is dramatic because of the bright green fairways. You won’t find yourself cursing the bunkers at Dundarave too often because they’re such an integral part of the course, defining both strategy and the overall aesthetic on this must-include for you golf package. The bunkering throughout Dundarave Golf Course on PEI is interesting, but there’s more to the course than red sand. The fairways are wide and inviting, bordered by pines, fir and beech trees, and the architects used the Brundenell River that slithers through the terrain and is frequently in view. Dundarave doesn’t have the sea views of PEI that other island courses do. It’s a parkland course that opened in 1999 at the Rodd Brudenell River Resort, which has 45 holes of golf overall. Dundarave is considered the more challenging of the resort’s two 18-hole courses, the other being Brudenell River Golf Course. Prince Edward Island’s Dundarave isn’t too long from the back tees at 6,606 yards, but neither is it a pushover with a slope rating of 135. “Every green is guarded by bunkers, while the greens themselves are large and undulating. The greens have large, well-kept surrounds and some false fronts,” said Dolf. Brudenell River Golf Course is probably the most popular course on Prince Edward Island, being that it is more playable than Dundarave. The course has six par 3s, six par 4s and six par 5s. It also has the river, of course, as well as ponds and picturesque gardens. The course has hosted numerous Canadian Tour events. Fox Meadows Golf and Country Club is close to Charlottetown, PEI’s largest city of about 40,000. Fox Meadows is known for its distinctive clubhouse, and the course has rolling terrain with views of Charlottetown and the harbor. Glasgow Hills Reort and Club is a little less than 7,000 yards from the back tees. It has good elevation changes over its rolling hills, with views of the River Clyde and Gulf of St. Lawrence. Green Gables Country Club is a picturesque, ocean-side layout. It’s one of the golf courses on PEI designed by Stanley Thompson, with undulating terrain and six large water hazards. Mill River Country Club is set in a mature forest with lakes and streams. The course features wide fairways with good movement and well-protected greens. “The Cat” (www.catferry.com) is a sleek, high-speed catamaran ferry that’s more like a cruise ship. If you want to get to the picturesque Nova Scotia golf courses from the U.S. mainland, it’s a great alternative to the long drive. The seats are wide and plush, with plenty of legroom. Discovery Channel called it one of the world’s top 10 super ships. The Cat has movie screens, restaurants and even a casino – slot machines only. It has room for cars, motorcycles, bicycles, RVs or you can just walk aboard. The huge windows make sightseeing easy on the six-hour crossing between Portland, Maine and Yarmouth, Nova Scotia. Be sure to bring your passport before attempting to cross the border into Canada. If you do not have it, your golf vacation will come to an abrupt end and you will miss out on the amazing golf courses on PEI, one of North America’s favorite places to golf.